How cute is this? I never think of stuff like this on my own, but I will likely make one! Go to the HOMEWORK blog for your own tute! 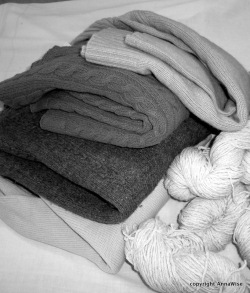 Get some Socks Education from the blog by Sara Vs Sarah. 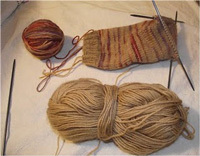 The current day is on turning the heel, but you can go back to step one and learn from the beginning! 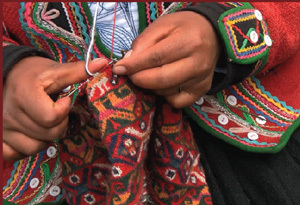 Needle arts hobbies such as knitting, crocheting, felting and sewing are making a comeback. Both experienced and novel needlecrafters know how expensive quality yarn can be. How To Read A Knitting Pattern…. 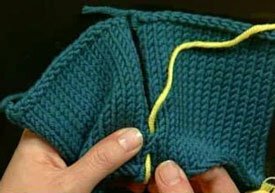 Learn how to break down a knitting pattern and make it easy to understand! 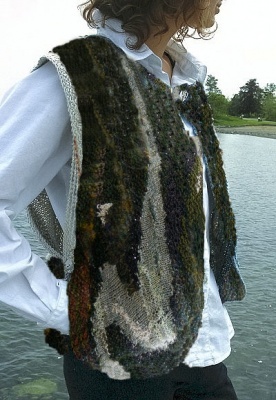 How To Knit A River! Tutorial – Knit Your Own Easter Egg! These eggs won’t spoil, and you won’t make a mess dying them. Use up your stash on these basket fillers. The tutorial is FREE, here, from the Natural Suburbia Blog. 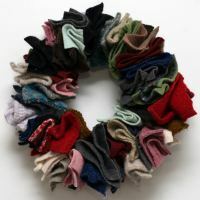 This tutorial, courtesy of Mother Earth News takes old wool sweaters, felts them and then creates new potholders! Go here for the Tutorial! Mattress Stitch – It’s Easy The Knitting Daily Way! The first time someone suggested to me that I should learn to spin I likely looked at them like they’d grown a third head. Got beads? Need buttons? 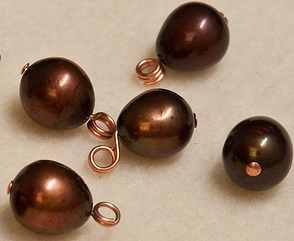 This tutorial will show you how to take a bead, and put a shank on it. Instant Button! Isn’t this pretty? The tutorial calls for pre-bought felted squares, but I’m sure you can think of a better source, no? 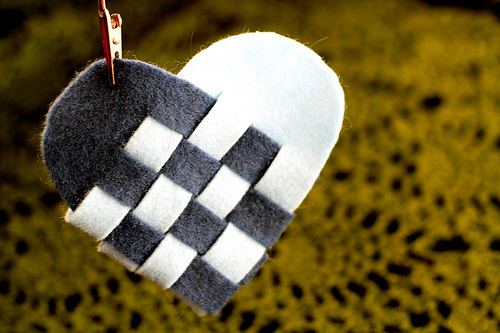 This is a traditional Danish design and is sooooo easy! 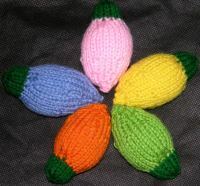 Anyway, this is a free pattern from Kimberly Chapman’s blog. 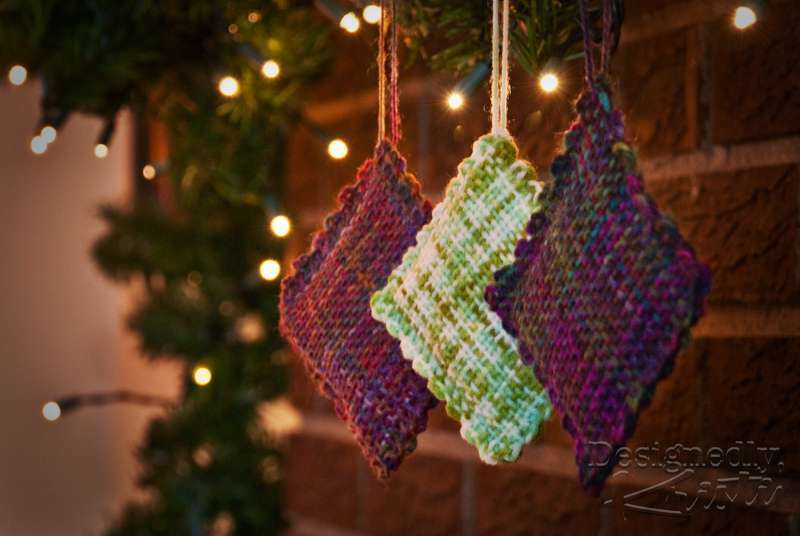 Click HERE for free Christmas Lights Knitting Pattern. Sweaters too small? Stained? Got rips? 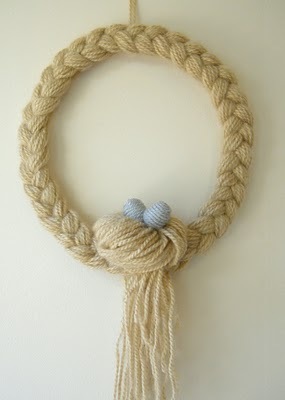 This awesome recycling project is a fun way to use those sweaters you just can’t bear to throw away! Tutorial – Take a Yarn Loom and Leftover Sock Yarn and…. Presto…. Chango…. We have Lavender Sachets! 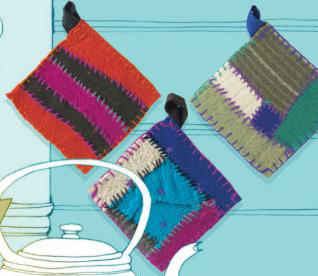 This tutorial will show you how, on a yarn loom, to weave these sachets. Fill with lavendar and you have a really nice topper for your Holiday packages!